From 1 April 2008, the investigation into PAH must be mandatory for the award of the GS mark (tested safety) in accordance with a decision of the "Committee for Technical Work Equipment and Consumer Products (AtAV)" of 20 November 2007 for products meeting the requirements of para .4.1 of the PAH document ZEK 01-08. Products without the GS-label may contain lots more PAH. One of the goals is the reduction of PAH-charges (Polycyclic aromatic hydrocarbons) through consumer products such as toys. EU Directive 2011/65 / EU restricts the use of certain hazardous substances in electrical and electronic equipment. It regulates the use and marketing of hazardous substances in electrical appliances and electronic components. Since 2011, compliance with the RoHS directive is a prerequisite for affixing the CE mark to the devices concerned. The purpose of the guidelines is to eliminate problematic components from electronic waste. Companies that import or distribute the equipment within the EU are directly affected by the Directives because they are required to ensure compliance. from the greasing of leather to its use as a plasticizer with flame-retardant properties in plastics. SCCPs are now classified as persistent organic pollutants. This changes the legal requirement considerably, because now the use of SCCP in mixtures is only allowed up to 1% and in articles not at all any more. The Forestry Certification FSC system was established to ensure sustainable forest use. This includes the preservation and improvement of the economic, ecological and social functions of forest enterprises. For this purpose, the FSC has developed a general and transnational uniform standard, which consists of ten principles and criteria and which can only be applied if these ten are concretized for a national level. The Program for the Endorsement of Forest Certification Schemes (PEFC) is an international forest certification system. It claims to be the world's largest independent organization for ensuring and continuously improving sustainable forest management while ensuring environmental, social and economic standards. 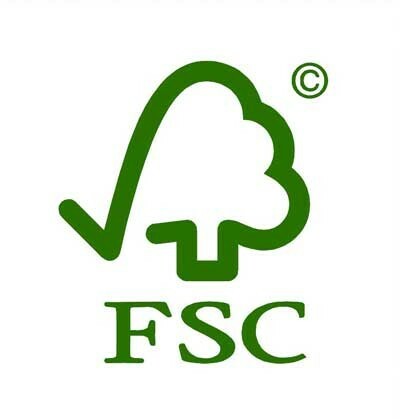 An important alternative certification system exists by the Forest Stewardship Council (FSC). DIN EN 71-1 specifies requirements and test methods for the mechanical and physical properties of toys.This European Standard applies to children's toys, that is to say all products or materials, whether or not exclusively intended or designed for use by children under 14 years of age. It is considered to be new toys. However, both the foreseeable under normal use or foreseeable use, the usual period of use as well as the child behavior.It contains specific requirements for toys for children under 36 months, for children under 18 months and for children who are too young to sit without help and specifies requirements for packaging, labeling and labeling. The certified safety seal (GS mark) certifies that a ready-to-use product meets the requirements of § 21 of the Product Safety Act (ProdSG). These requirements are specified in terms of "size and number", especially in DIN standards and European standards or other generally accepted rules of technology. The certification, which was introduced in 1977, aims to protect the user and third parties against damage to life and limb in the case of their intended and foreseeable use (in the non-harmonized area, ie without a European requirement) and compliance with the European requirements (in the harmonized area). The GS mark is still the only legally regulated product safety mark in Europe. EMC tests or EMC tests are intended to characterize the electromagnetic compatibility of an electrical or electronic product or device. This includes examining the immunity of a device or equipment to external interference. EMC measurements are one area of EMC testing that usually deals with the determination of emissions. EMC tests follow different requirements for electrical or electronic systems. Influencing factors are the desired reliability for trouble-free operation, legal regulations, the expected interference environment or the required operational safety of a system. Substances with an EU-wide classification, a so-called legal classification, have already been partially tested for their negative properties on humans and the environment. REACH provides for very dangerous substances, the Substances of Very High Concern (SVHC), very strict rules in the course of authorization: the so-called safety net under REACH. In the course of globalization and international competition, many companies purchase labor-intensive goods from developing and emerging countries. However, the working conditions there often do not correspond to the labor standards set by the International Labor Organization (ILO). To create international labor standards, BSCI offers companies a broad cooperation platform, a systematic monitoring and qualification system and a code of conduct to support their efforts to build an ethical supply chain. The Membership Certificate (and thus the Code of Conduct) was signed by PSM Bestpoint, which is based on international treaties protecting workers' rights and includes the following key elements: management practice, documentation, working time, pay, child labor, forced labor (including prison and coercive measures), freedom of assembly (including organizations) - and collective bargaining freedom), discrimination (gender, race, religion), working conditions, health and social affairs, health and safety at work and aspects of environmental protection. Commodities with food contact are subject to strict legal regulations. They must be produced according to good manufacturing practice and must not dispose of any substances in their use which endanger human health, cause an unacceptable change in the food or impair its odor and taste.